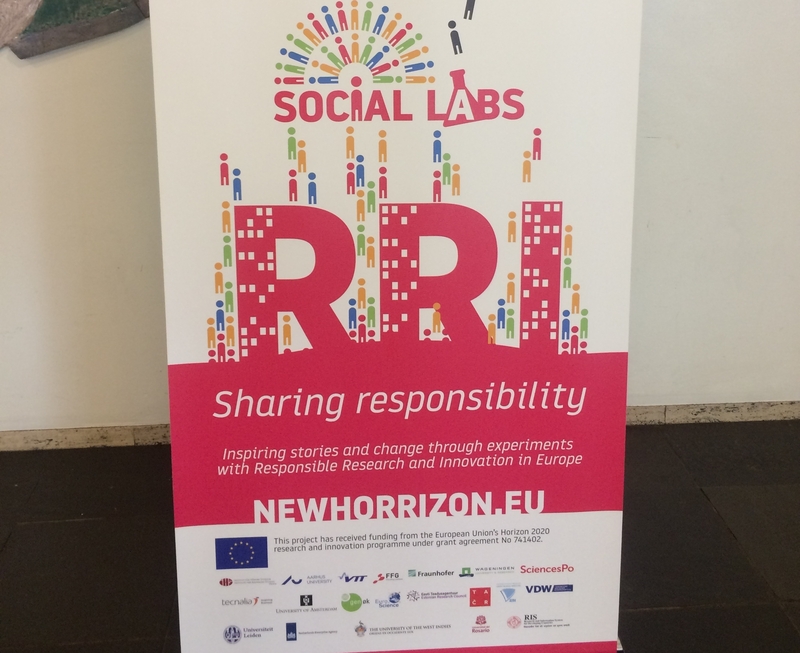 Last week, 8-9 June 2018, our ESR Lia ní Aodha took part in a Social Lab organised as part of the NewHoRRizon-project, that is working to foster the integration of Responsible Research and Innovation (RRI) into European, national and local research practice, and funding. SAF21 was invited to participate as the project scores highly in terms of RRI! Held in the University of Amsterdam, last week’s Lab was focused on researching the status of RRI within the Marie Sklodowska-Curie Actions (MSCA) programme line. The diverse group that attended – including policymakers, research managers, project coordinators, grantees, NCPs, advisors to MSCA and individuals from the private sector and non-profit organisations – discussed the possibilities and barriers for RRI, from their practical experience (revolving around themes such as public engagement, science education, gender equality, open access and ethics in science) within the MSCA context. On day two the group collaboratively worked towards developing actionable pilots that may help in the practical implementation of RRI going forward. Over both days the discussions were lively, at times heated, and overall really constructive!